At KerrTex Motors, located in Kerrville, TX, we have a passion for vehicles. We are a family owned dealership with 20+ years of experience! We also have a passion for helping customers. Put those two things together and you get the most satisfying, hassle-free car buying experience you've ever had. We pride ourselves on stocking an impressive inventory lineup of quality used cars, trucks, and SUVs that is sure to meet your needs. We BUY, SELL, AND TRADE! 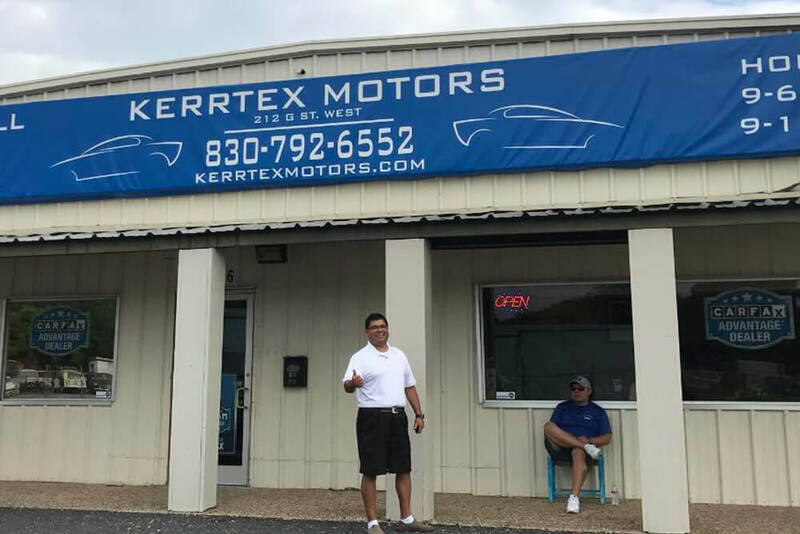 Service, reliability, and quality, that's KerrTex Motors!